I realize that it’s been nearly a month since FERC’s May 17, 2012 Order on Rehearing and Clarification of Order No. 1000, FERC’s landmark transmission planning and cost allocation rule issued in July 2011. On rehearing, FERC essentially reaffirmed Order No. 1000 in its entirety thus paving the way for judicial review. There are already a bunch of summaries on FERC’s Order No. 1000 rehearing decision out on the web, but I’ll toss mine into the mix to set the stage for my upcoming focus on the appellate process. By way of background, Order No. 1000 requires transmission owners to engage in transmission planning and adopt procedures for allocating the costs of new transmission in a manner proportionate to benefits received. The Final Rule made several significant and fairly controversial changes to existing policy. In addition to mandating transmission planning and development of a cost allocation methodology (which was previously voluntary), FERC Order No. 1000 adopted several other new requirements. First, under Order No. 1000, the transmission planning process must consider whether new transmission is needed to meet public policy considerations such as renewable portfolio standard (RPS) compliance. Previously, transmission planning took into account only economic need and reliability. Second, Order No. 1000 eliminates any federal right of first refusal, i.e. the priority typically accorded to incumbent transmission providers to own and operate transmission within their service territory. Third, Order No. 1000 allows for cost allocation both intra-regionally and in some instances, inter-regionally (though for inter-regional cost allocation, those parties outside of the region must voluntarily agree to share the costs). Over sixty parties filed rehearing requests to Order No. 1000. The most vocal opposition to the FERC rule comes from the Coalition for Fair Transmission Policy (CFTP), comprised of a group of transmission owning utilities as well as an ad hoc coalition of Southern Utilities, most of which are either public power entities, or non-RTO members. In addition, many states, some ISOs (like CAISO) and public power groups expressed reservations about whether some aspects of the FERC rule might interfere with regionally-based solutions or subject municipalities and non-jurisdictional entities to additional burdens. The rehearing requests fell into several distinct categories. Virtually all of the rehearing requests challenged FERC’s authority under the FPA to adopt a far-reaching rule. Many others also contended that FERC did not provide sufficient evidence to show that new policies were needed to address discriminatory and unjust and unreasonable practices. Here, FERC defended its rule, arguing that extensive comments showed evidence of discriminatory practices, that the problems were real and not merely “theoretical,” and that FERC has broad power under the Federal Power Act to adopt the rule. Another area subject to challenge on rehearing is Order No. 1000’s requirement that transmission owners consider public policy in the planning process. Many commenters argued that subjecting transmission owners to public policy requirements could interfere with their obligation to native load or reliability obligations. FERC rejected these arguments, essentially saying that these issues would all be sorted out in the planning process. FERC did make one minor clarification on the public policy issue, noting that transmission planning can take into account municipal and local considerations. In contrast to the issuance of the original Order No. 1000, this time, only Commissioners Norris and LaFleur released separate statements on rehearing, Commissioner Norris issued a call to all entities to cooperate towards implementation of Order No. 1000 in a uniform rather than disjointed manner. Commissioner LaFleur, however, took a seemingly different approach from her colleague, emphasizing that on compliance, the Commission should “be open to different applications of this principle that reflect the facts and circumstances of different regions.” Chair Wellinghoff did not make a statement, nor did Commissioner Moeller.who had previously dissented from the majority’s view on elimination of rights of first refusal in the original order. In comparison to rehearing requests on other major orders like Order No. 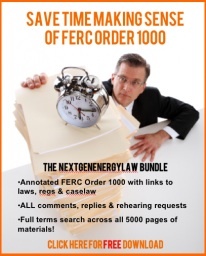 888, FERC’s rehearing order on Order No. 1000 was both cursory and somewhat conclusory in nature. Although the rehearing order is 592 pages, roughly 75 percent of the verbiage is devoted to summaries of the parties’ positions rather than analysis. In responding to parties’ positions, FERC also incorporated by reference much of its earlier discussion instead of building on its reasoning. FERC’s approach suggests that it is satisfied with the reasoning in its initial order and sees little reason to expand on it. Also noteworthy is that FERC did not clarify or modify many minor points in Order No. 1000, which is somewhat unusual given the length of the order and the number of rehearing requests. Presumably, FERC declined to make major changes to avoid re-opening Order No. 1000 to an additional layer of rehearing. Each time an agency substantially changes an order on rehearing, it can trigger another round of rehearing requests (by way of comparison, Order No. 888 went through at least three levels of rehearing before being challenged on judicial review). FERC’s rehearing order on Order No. 1000 thus represents its final position on the matter, and FERC can now turn its attention to the compliance filings on transmission planning, which are due in October 2012. Several parties have already petitioned for judicial review. The Sacramento Muncipal Utility District (SMUD) filed in the Seventh Circuit, while CFTP, South Carolina Public Service Authority (originally part of the ad hoc Southern Utilities group) and PSEG filed at the D.C. Circuit. A multi-district panel will now decide by lot whether the appeals will be assigned to the D.C. Circuit or Seventh Circuit, at which point, the parties will still have an opportunity to ask for a transfer for the sake of convenience. Meanwhile, the clock on judicial review is still running, with the deadline for filing open until July 16, 2012, 60 days from the May 17 issue date of the order. 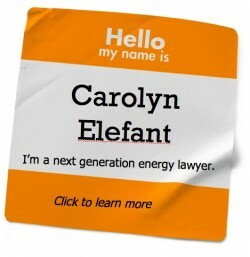 For the parties who wish to continue to challenge the FERC ruling, the next step. Seeking an appeal does not automatically stay Order No. 1000 (though the parties can request a stay that might be granted if they can show a likelihood of success on the merits of the case and hardship resulting from compliance). What that means is that utilities may have to move forward with transmission planning to meet the October 2012 deadline while the appeal is pending. On rehearing, few parties asked for a stay and so it’s not surprising that a stay didn’t issue. On the other hand, stays are rarely granted (even in cases where parties may need to spend money to comply with a rule that may eventually be vacated, since losing money isn’t considered “irreparable harm) so parties may not bother and instead try to push forward with the appeal instead. We’ll keep you posted on the appeal.